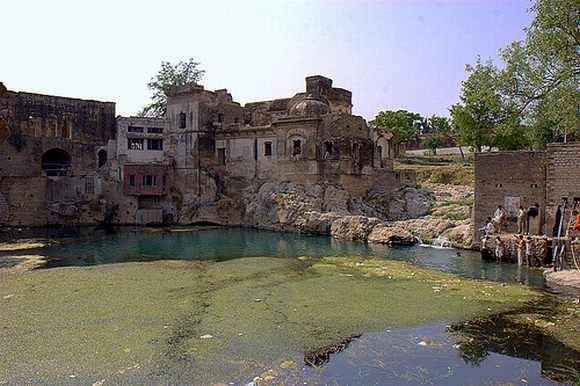 Scores of Hindus participated in a special ceremony held at the historic Katasraj Temple in Pakistan's Punjab province following the restoration of its holy pond, which had begun drying up due to excessive use of groundwater by a nearby cement factory. A total of 115 Hindus from cities across Pakistan visited the temple in Chakwal district. Shri Amar Kund, the sacred pond, was showered with rose petals and pilgrims drank its water and filled bottles to take home. The Punjab government took steps to revive the pond after it dried up this summer. The trip to the temple by the Hindus too was facilitated by the Punjab government. Ashok Chand, general secretary of the Hindu Sudhar Sabha, was quoted by the Dawn newspaper as saying that the federal and provincial governments should protect other Hindu sites across the country. "We are very thankful to the Punjab government as it did a great job for us," he said. 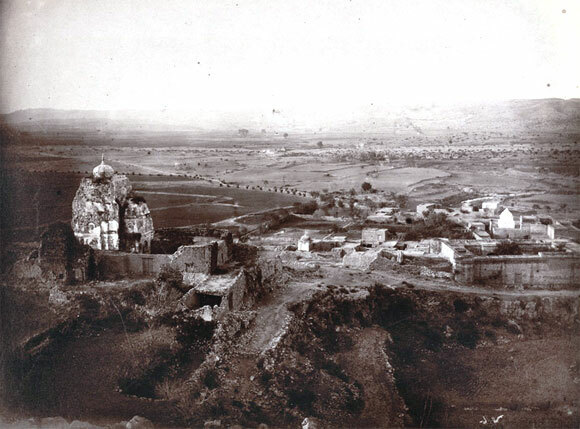 After attending the ceremony at the pond, Hindus visited the temples in the Katasraj complex. They worshipped at Lord Shiva's lingam. "By worshipping Lord Shiva, our prayers and wishes come true," said Namindar Rani, who had come from Mandi Bahauddin. "We showered rose petals in the holy pond to pay homage as it is a sacred site for us," said Rachna, who came from Lahore, the capital of Punjab province. She said Hindus believed they became pavitra (clean) by bathing in the water of the holy pond. Ratan Lal, vice president of the National Peace Committee for Interfaith Harmony, said the Punjab government should allow Hindus to celebrate Diwali at the Katasraj Temple. 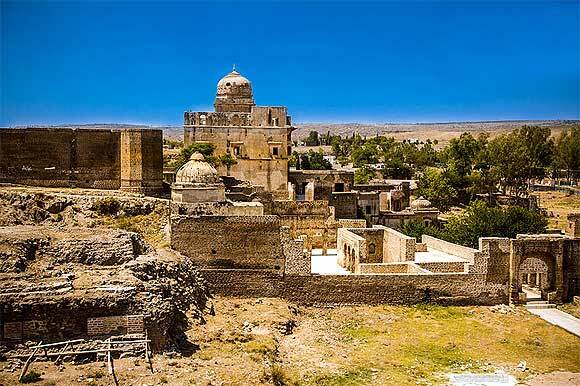 In May, President Asif Ali Zardari expressed concern at the damage to the centuries-old Katasraj Temple due to environmental degradation caused by industrial complexes and sought a report from authorities. 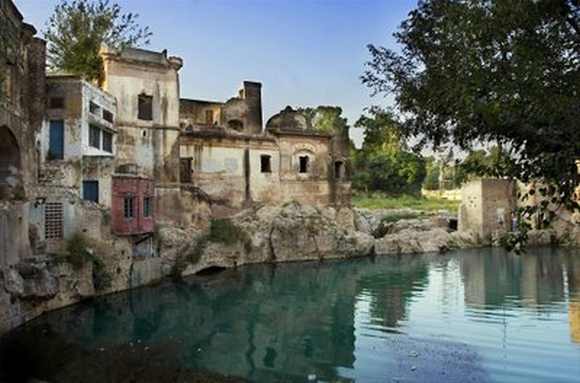 Zardari acted after a media report said industrial complexes around the Katasraj Temple had destroyed its pristine beauty and threatened the natural water pond with "complete extinction". He directed authorities to restore the site in a scientific manner. 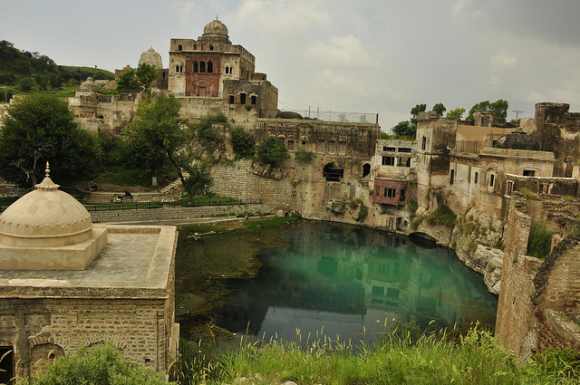 Media reports had said that the sacred pond at the Katasraj Temple was drying up because of excessive use of groundwater in the region by a cement factory. 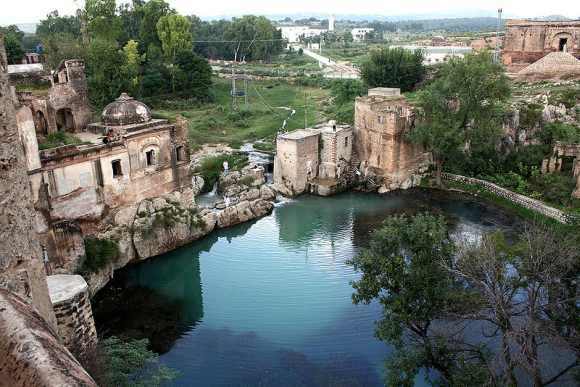 Saeed Iqbal Wahlah, secretary of the Environment Protection Department, who is the focal person of the Katasraj Conservation Committee, said the Punjab government had acted on a war footing to revive the holy pond. "It is the responsibility of the Punjab government to protect sacred sites of minorities as they are equal citizens of the country," Wahlah said. A sum of Rs 609.19 million was spent on restoring the pond and the federal government will provide another Rs 20 million for renovation works. 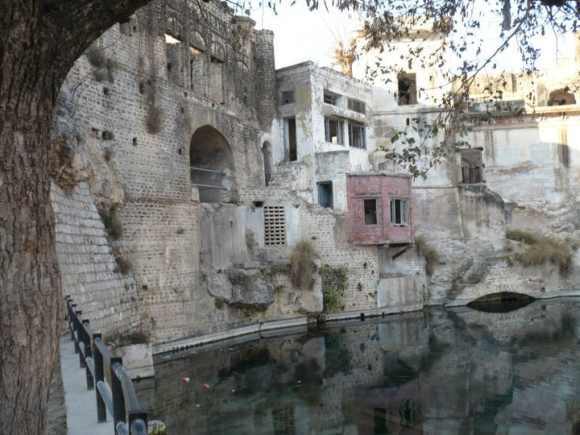 "The Katas Raj Conservation Committee also proposed that a hostel be built here where Hindu pilgrims could stay," Wahlah said. Ismat Tahira, director general of the Punjab Archaeology Department, said her organisation was doing its best to renovate the Katasraj Temple while retaining its original state. "The plight of the temples and the pond was so miserable some years ago but now all the temples have been renovated and the pond has been restored," she said. Chakwal district administration chief Ahmad Aziz Tarar assured Hindu pilgrims that the region would always welcome them. "Chakwal is a peaceful district and its natives are very hospitable. You would never face any problem while visiting your revered sites," he said. According to Hindu mythology, the holy pond was formed when Lord Shiva wept over the death of his beloved wife. The temples at the Katasraj site, located 40 km from Chakwal town, were built by Hindu kings around 900 years ago. Some years ago, Pakistan decided to place idols of Hindu gods in seven temples at Katasraj and restore them to their original state to attract Hindu visitors as part of a multi-million rupee project. Senior BJP leader L K Advani visited Pakistan in 2005 to lay the foundation stone for the project to restore the Katasraj complex. This was the first time since 1947 that an Indian politician was invited to a Pakistani project to renovate a Hindu shrine.